Yes, those are spears. 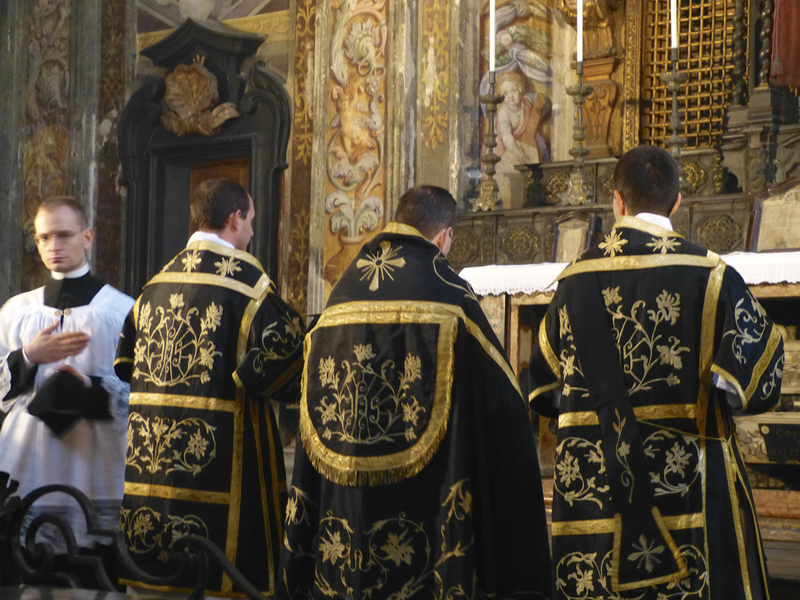 All male servers carry spears throughout the liturgy. The priest wears tribal robes, and the celebrants and servers dance around the altar as a means of veneration. The Use was initialized in 1988 by St. John Paul II. To Read more click HERE. Members of this church are direct descendants of the Thomas Christians that the Portuguese encountered in 1498 while exploring the Malabar coast of India. They did not break from Rome until 1653 because of obscene latinization that forced onto them since 1498. 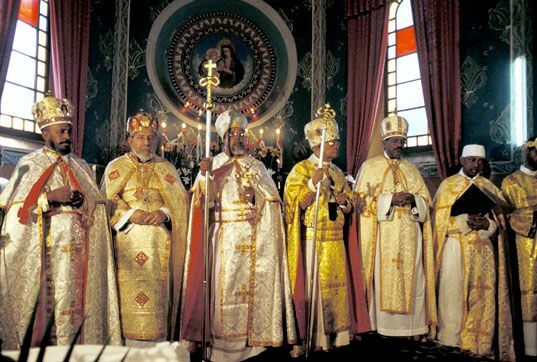 However, in 1923 Pope Pius XI set up a full-fledged Syro-Malabar Catholic hierarchy. For More click HERE. The Premonstratensian, or Norbertine, rite differs from the Roman in the celebration of the Sacrifice of the Mass, the Divine Office and the administration of the Sacrament of Penance. The priest will say quietly what the choir sings, as is the case with the Kyrie and Glorie. For More Click HERE. According to St. Augustine (Confessones, IX, vii), St. Ambrose did renovate sections of the Divine Office, so it is not inconceivable to believe that he is also the founder of the Rite of his namesake. For More Click HERE. In a place that was closed from Catholic Mission for 200 years a rich tradition of liturgy has survived. The Church reunited (completely) with Rome in 1930, and has a decent presence in America. Pope Francis, himself, has had a great influence on the church and its development remains active. For More Click HERE. A student and brewer of beer.